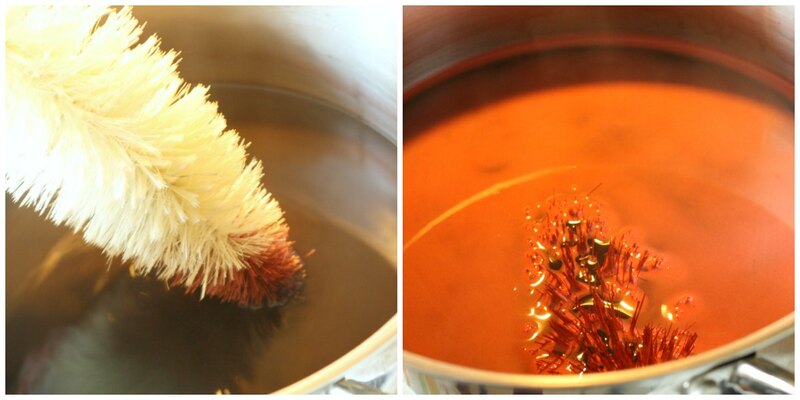 I have to admit I was as surprised that dyeing bottle brush trees worked just as well as bleaching them. 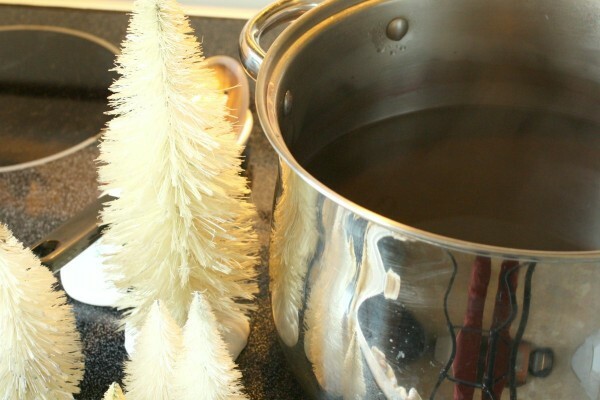 The process goes hand in hand so if you have green Christmas trees you want to dye lighter or different colors check out how to bleach them first. 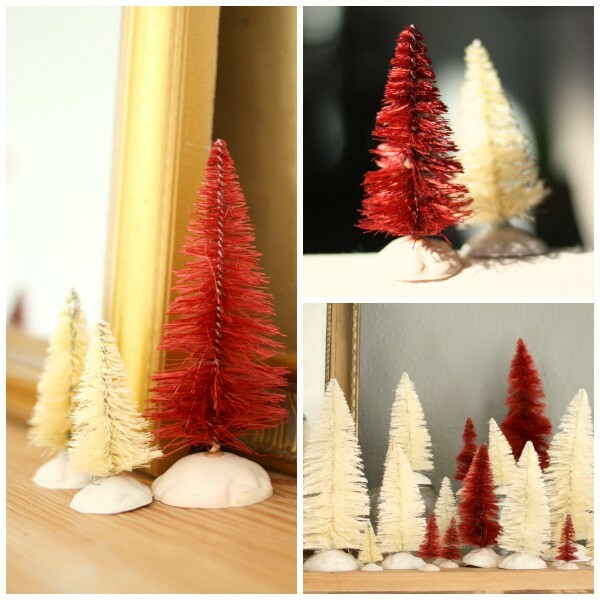 If you already have light colored trees to dye then read this handy how to. 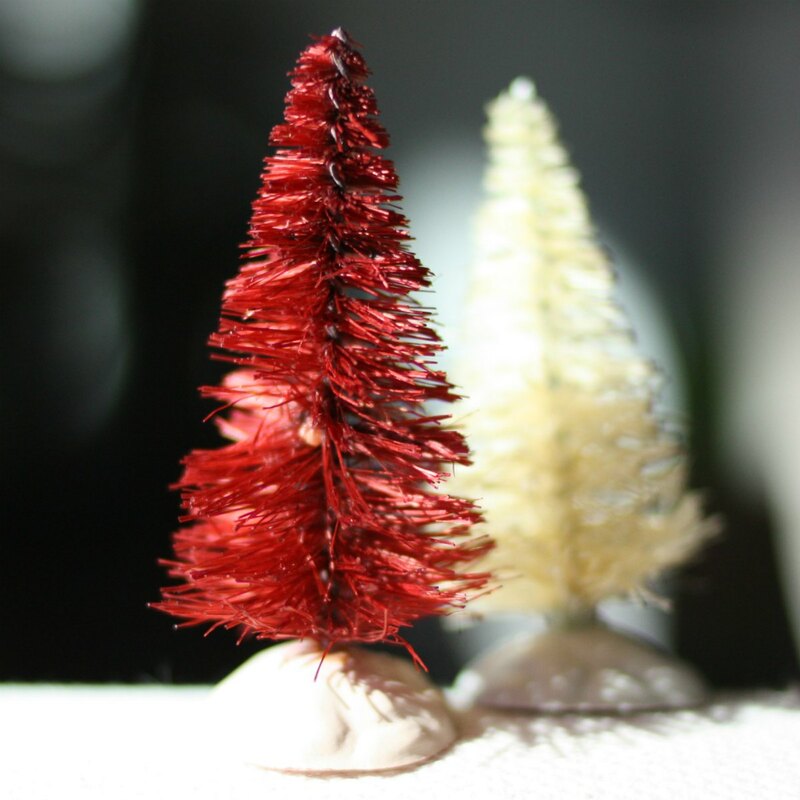 You can make any color but I chose red to go with my Christmas decor. Prepare the dye bath. This step always seems easy BUT invariably I end up getting dye on my skin, or making a bad color, or boiling the water instead of warming it… I didn’t bother with salt or basically directions. I’m a rebel like that. Just mixed some dye and warm water. I am hoping I don’t really need to write text for this step. It says it all in the title. Here is what happens when you use a freshly bleached (wet) tree and then over swish. The ‘needles’ got over saturated. It basically looks like my cat hacked it up. You can still redeem this tree when dry. But that requires lots of combing and re-wetting stubborn areas to dry in a nice way. Honestly, don’t do this. Also got your dye very hot? Then yeah if you have cheap plastic bases you may end up warping them a bit. 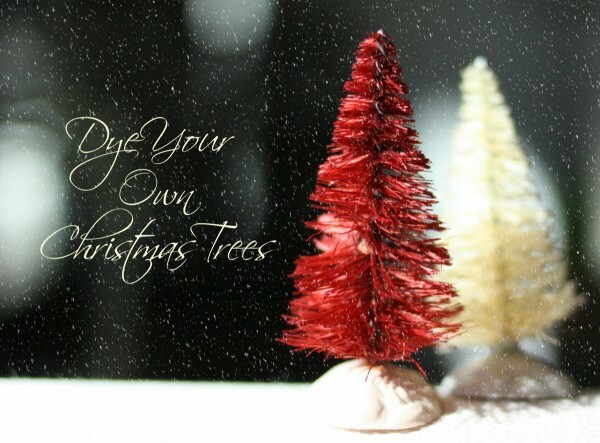 Other than that you have some great bottle brush trees in any color you need for Christmas and other holidays. *These are affiliate links. I only get money from these links if you decide to buy. I was not compensated to mention this product and spent my own money purchasing, testing, and using similar items in developing these tutorials. Love this shade of red. 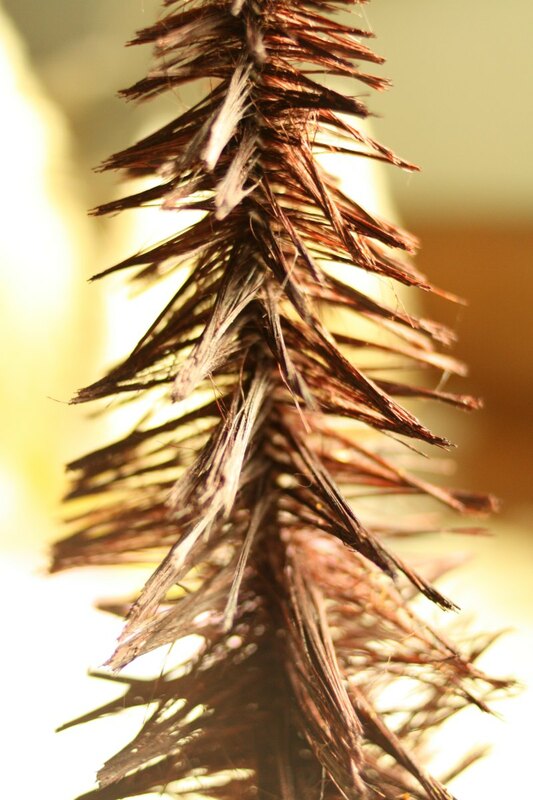 I’ve just started the process of the whole tree dying thing. I have many colors and can’t wait to mix colors for additional colors. Dying the bottle brush trees was a lot of fun. I could not find the colors I wanted which lead to figuring it out myself. Happy color mixing. The red and white trees are so cute together! I love the look. Honestly, I am terrified of dye… it is just so messy… and permanent! Just wear old clothes! Dye is amazing and one of my favorite craft items.